This beautiful wedding band from Vera Wang features extravagant 18ct white gold set with 0.45cts of sparkling diamonds in a vintage inspired three station design. 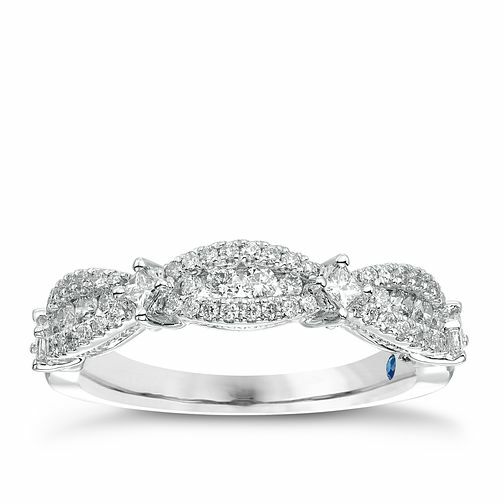 Vera Wang 18ct White Gold 0.45ct Diamond 3 Station Band is rated 5.0 out of 5 by 2. Rated 5 out of 5 by Anonymous from Beautiful ring This ring is absolutely gorgeous. I purchased it as a wedding ring to go with my Vera wang engagement ring. It compliments it beautifully.